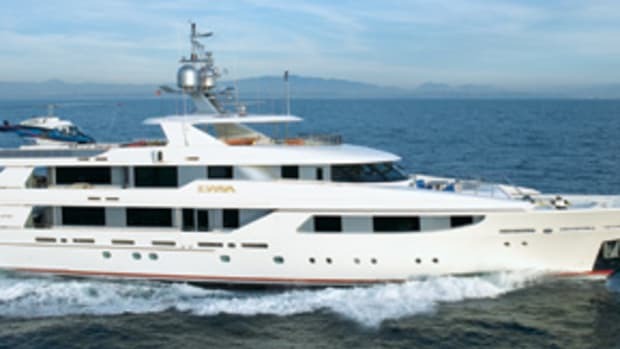 Where she does become interesting to compare with other yachts in her size range is fuel consumption. At 18 to 24 knots, Viljoen told me, Hokulani burns as much as 185 gph. (The yard’s specs say 245 gph, or 377 gph at top speed.) With three hours of cruising for each of seven days at $5 per gallon, even by Viljoen’s number, that’s an end-of-week fuel bill of nearly $20,000. If the owner wants to watch TV somewhere instead of in bed, a media room is up a few steps. I raised my eyebrows at this prospect. "At some point because of the fuel crisis," Viljoen said with an understanding nod, "these boats may become a thing of the past. There’s an element of people wanting to do it now." 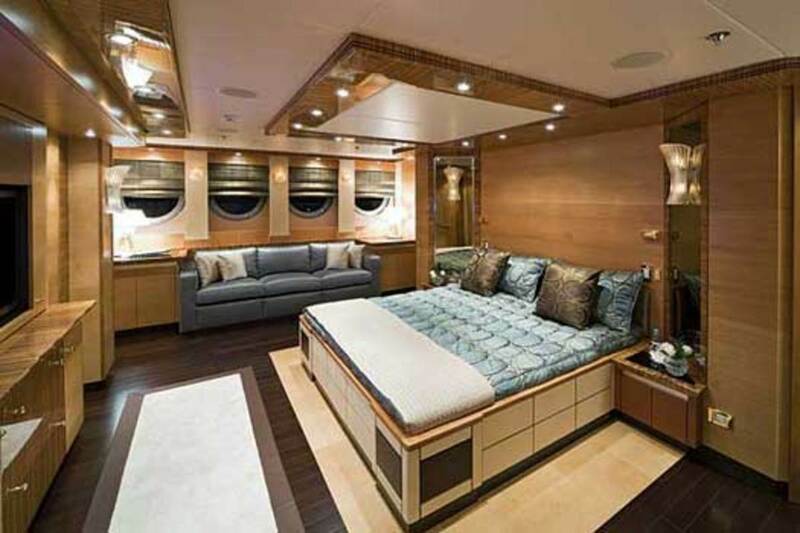 Another feature that is likely to remain popular long after the price of fuel stabilizes is the private cinema, which Hokulani has all the way forward on her main deck, up nine steps from the owner’s cabin. 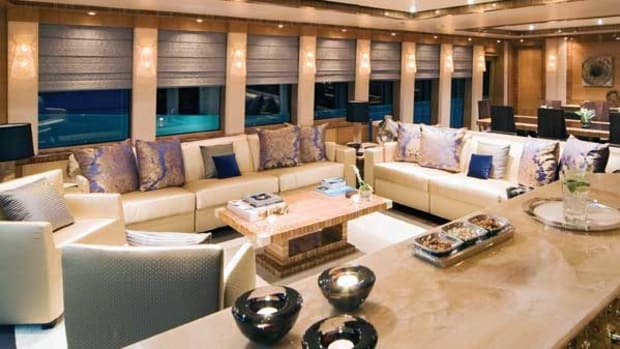 As the yacht was originally intended to be private, this media room is laid out as a cozy sitting space instead of an all-guest theater, but I thought I would be plenty comfortable cranking up the surround sound at anchor with a couple of friends. 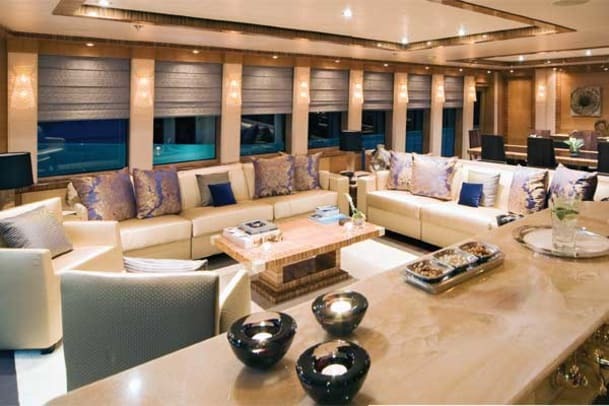 Larger gatherings will take place on the main deck and sundeck, the latter of which is a truly indoor-outdoor space. 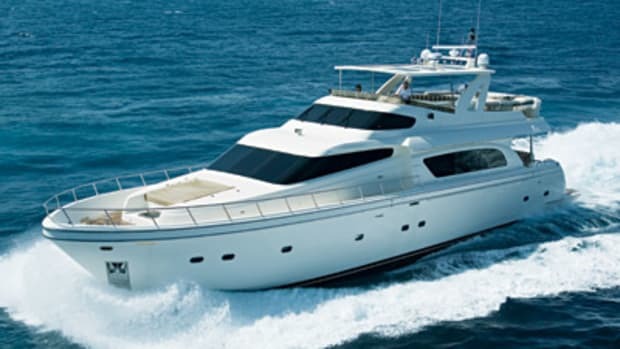 It has a permanent hardtop with six large, square skylights that combine with the open aft section to provide any combination of sun and shade that guests might desire. Kelsey told me the design was intended to feel distinctly different from the sky lounges on other tridecks of Hokulani’s size. "Instead of being the usual closed-in area, you’re still breathing the air from outside, though you are sheltered," he said. "It is another place where people can use the boat yet be part of the elements around it." 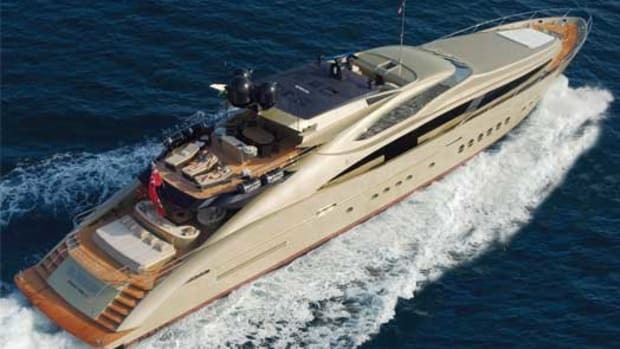 The features that have made the 150 series a winner for Palmer Johnson are expected to be key to the design of its forthcoming 170, which Kelsey says has begun construction at a new yard in England and is due to launch in 2010. 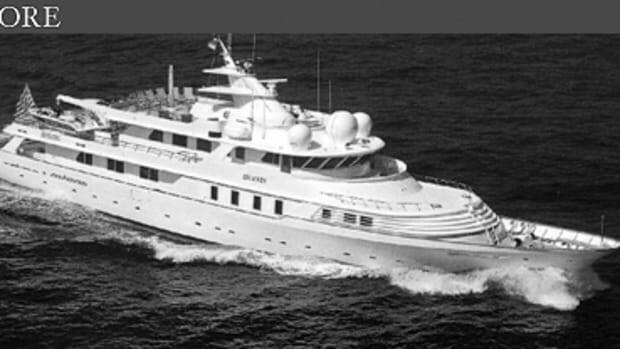 Next up after that will be what he called "a very large displacement-type yacht" to be built at a shipyard Palmer Johnson recently acquired in Norway. "I can’t give any other details. All I can say is that it won’t be a sport yacht. It’s not like anything we’ve built before." 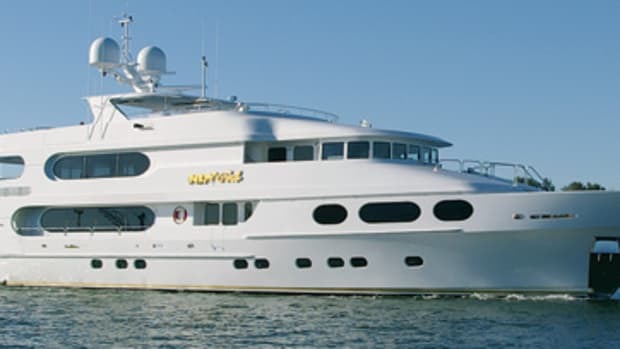 Hokulani is certainly unlike anything the worldwide charter market has seen before, and thanks to her initial success, more owners of 150s (and large express-style yachts in general) may decide to make them available for the public to enjoy. Hokulani is an excellent choice to lead the way, shining brightly both literally and figuratively with a name that is Hawaiian for "starry heavens." There’s nothing celestial about the yacht’s success in Kelsey’s mind. He and the Palmer Johnson team knew exactly what they were doing all along. "Hokulani was really built for the clients that want to have fun," he says. "That’s what that the boat is all about, inside and out: having fun and looking good doing it." 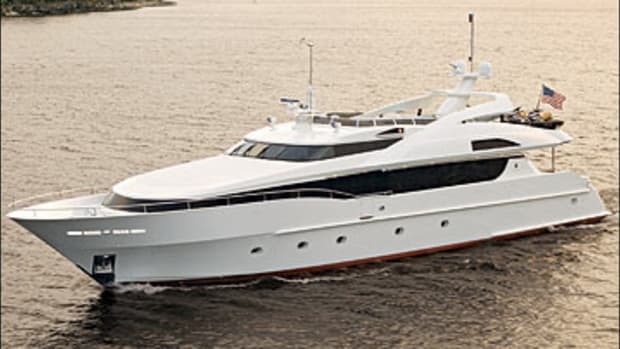 For more information on Palmer Johnson visit www.powerandmotor yacht.com/palmer-johnson/.